Zinnias never fail to impress in any garden because of their gorgeous colors and striking appearance. With multiple blooms that stick around for weeks, zinnias are an annual flower that are rewarding and shockingly easy to grow from seed. 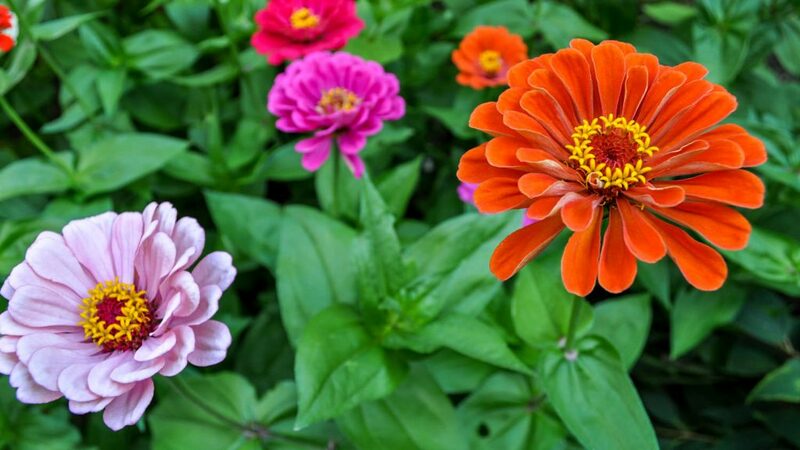 If you’ve ever been curious about watching the stages of a flower – from seed to bloom – over the course of the growing season, the zinnia is a perfect model. 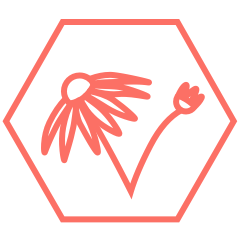 In four easy steps, see how easy it is to grow this no-fail flower from seed. 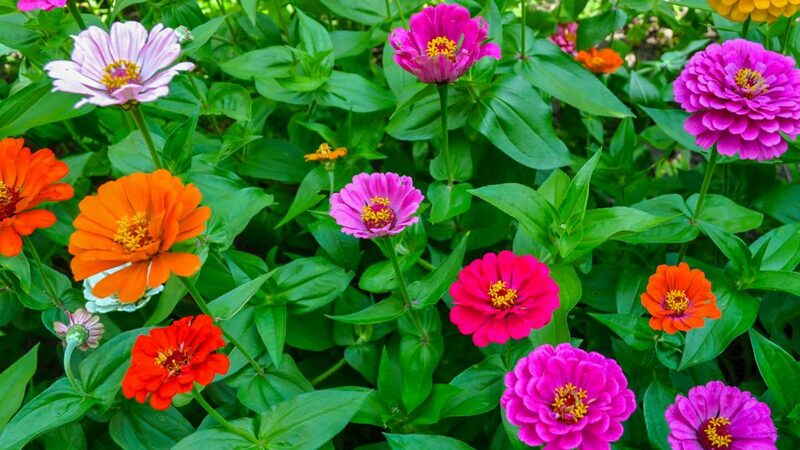 Zinnias come in a variety of different heights, shapes and colors. Read about each variety on different seed packages and make a selection based on your taste and how much growing space you have. Some varieties can grow as tall as 4 feet tall with big bright double blooms! Zinnias love the sun and they'll be happiest in a spot that receives at least six hours of sunshine. Once the frost has past and the soil has warmed up, zinnia seeds can be planted directly into the ground. Loosen the soil and place seeds approximately ¼” inches deep and every 4” to 24” inches apart (the variety you selected will have this specific distance written on the seed package). Zinnias can be planted in containers but have the ability to spread wide and grow tall. If you’re going to plant into a container, select a larger pot (around 10” inches or larger) versus a small pot and thin the seedlings if necessary. Water your newly planted seeds. It’s best to use a watering can or hose attachment that has a light shower option. The little seeds will shift around, if you water with strong and direct pressure. Keep the soil moist as the seeds germinate, anywhere from 5 to 24 days and water each week as they grow throughout the summer. 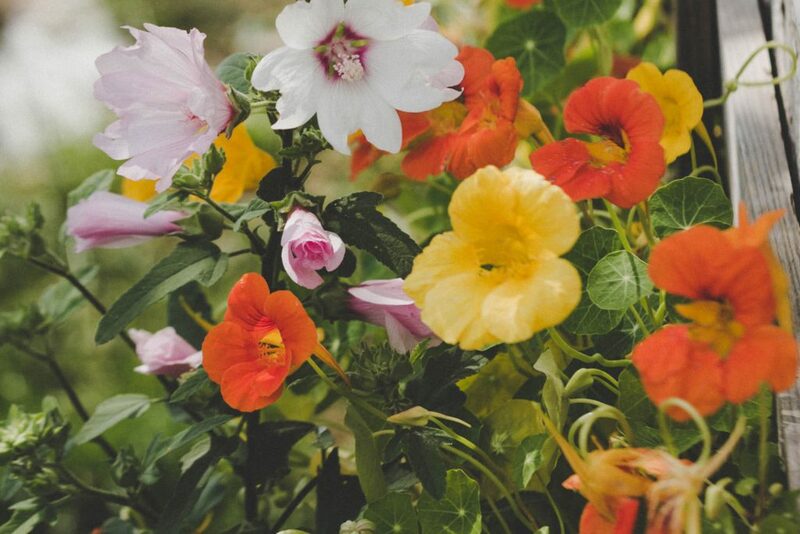 Enjoy prolific blooms! With strong stems, zinnias make for great cut flowers. Cut a few to bring inside and display in your favourite vase. Observe the growth of your zinnias from germination to wilt and make notes in your garden journal so that next year you’ll know exactly what to expect.